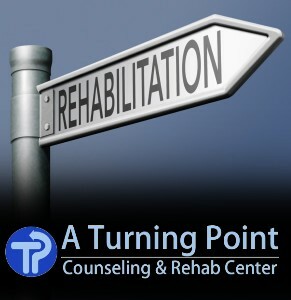 A Turning Point Counseling and Rehab Center » Have You Reached a Turning Point in Your Life? Looking for guidance when life situations are overwhelming is a sign of health and maturity. I believe in emphasizing and building on strengths and connecting with abilities with which you may have lost connection. A Turning Point Counseling Center can provide help for many concerns you may have. If there are marriage problems or family troubles, we offer marriage counseling in San Antonio and in our Boerne office as one of our specialties is couples therapy. If drug abuse is an issue, we have substance abuse counselors in the San Antonio office who can help. As a matter of fact, our expertise is in alcohol rehab and addiction counseling and we offer a substance abuse treatment program at our San Antonio location. We specialize in providing small group adult and adolescent/teen substance abuse outpatient rehab treatment in San Antonio for drug abuse or alcoholism. Our programs are comprehensive and individualized according to your need. We consider the needs of the family as integral to the process. Drug or alcohol rehab treatment is most successful when all family members are involved in the process. An outpatient program of treatment gives people a chance to continue to work or go to school and live their lives while doing something intensive to address their alcoholism or addiction. If there is a problem with fears or trauma, I am a clinical hypnotherapist and have been very successful in using hypnotherapy for over 24 years to reduce trauma or other PTSD symptoms. You may e-mail me at ron.deage@aturningpoint.org or call at 210.764.3700 and I will contact you as soon as possible to talk with you further about your current situation and tell you how I may be able to help.